Scott Piercy cost himself $46,000 in earnings with his bogey on the final hole. Play at the AT&T Pebble Beach Pro-Am was delayed mid-day on Sunday due to a hailstorm, and the final round was completed Monday morning. On Sunday players squeezed in a few final shots as darkness descended on the Monterey Peninsula — but darkness didn’t deter everyone. Sure, Phil Mickelson really wanted to finish his round, but that doesn’t mean it would’ve been the right decision. Just ask Scott Piercy. The 40-year-old elected to finish up in the dark on Sunday, as he was already on the par-5 18th hole when play was called for the day. Standing at 11-under and tied for seventh, Piercy was on the green and faced a 15-foot birdie to close out his round. But then, the unthinkable: Piercy ran his birdie putt about seven feet past the hole. Then he missed the comebacker. Piercy’s bogey dropped him into a tie for 10th, and it cost him about $46,000 in prize money. But Piercy’s collapse also helped two of his colleagues. Max Homa and Michael Thompson, both of whom graduated from the Web.com Tour last season, were at 10-under and staring at T-11 finishes before Piercy’s bogey. 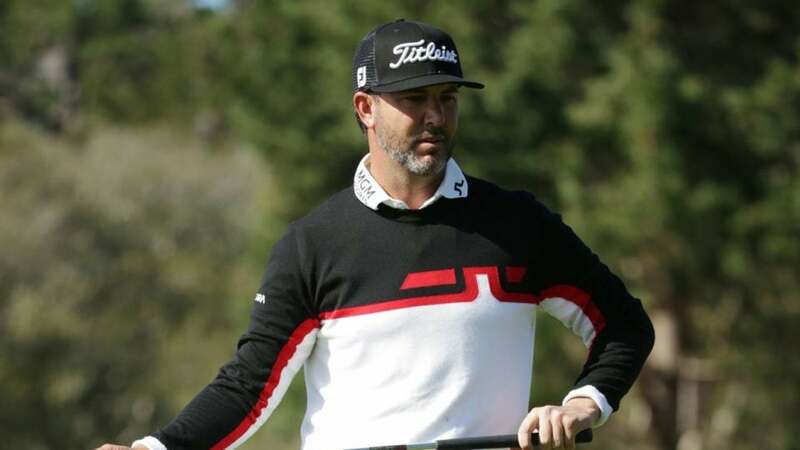 But Piercy’s fall lifted Homa and Thompson into the top 10, and with it, they received two spots in the field at this week’s Genesis Open at Riviera Country Club in Los Angeles. Thompson had been listed as the first alternate for the Genesis Open; he now has three consecutive finishes of T-13 or better. Homa had previously missed six straight cuts on the Tour this season before tying for 26th at the Waste Management Phoenix Open earlier this month.